The Boy Scouts of America doubled down recently on its quest to become the scouting organization of choice for boys and girls, announcing it will drop “Boy” from the name of its signature program. Chief Scout Executive Mike Surbaugh also unveiled the group’s new “Scout Me In” marketing campaign aimed at promoting inclusiveness. “As we enter a new era for our organization, it is important that all youth can see themselves in Scouting in every way possible,” Saurbaugh said. Change has been coming quickly to the iconic if shrinking organization. In October, it announced it would provide programs for girls. Several months before that, the group announced it would accept and register transgender youths into its organization. In 2015, it ended its ban on gay leaders. Boy Scouts of America claims almost 2.3 million members, down from 2.6 million five years ago. That includes Venturing and Sea Scouting programs, the latter allowing membership up to 21 years of age. In its peak years, Boy Scouts of America had more than 4 million participants. The program for the older boys and girls will largely be divided along gender lines but will cover similar activities. All participants can work toward the prestigious title of Eagle Scout. It’s too early to determine what impact the aggressive BSA effort to recruit girls will have on the Girl Scouts of the USA, an organization best known for its lucrative annual cookie sales. The organization, founded two years after Boy Scouts, currently claims a membership of about 1.8 million. And like BSA, it also has seen a membership decline. The Girl Scout organization responded to the latest news with a shrug. In a statement, the organization noted that the BSA announcement included no new, “girl specific” programming. The organization listed a series of efforts to “stay ahead of the pack of youth organizations.” That includes 23 new merit badges focusing on outdoors and STEM (science, technology, engineering and math). The Scouts should have been prepared for this. One week after the century-old Boy Scouts of America announced it was changing its name and its mission to accept girls at all levels of scouting, its single biggest participant announced that it was cutting ties to the Scouts. And taking one-fifth of the Scouts membership with it. The Church of Jesus Christ of Latter-day Saints, usually known as the Mormons, announced recently that it was severing its relationship with the Scouts effective Dec. 31, 2019, according to the Salt Lake Tribune. In a statement issued jointly by the church and the Scouts, the church explained the move by noting that its membership was more global now than ever and required a global approach. Now, six days after the Boy Scouts of America announced an epochal change in the group’s mission — complete with changing its name by 2019 to the bloodless, corporate Scouts BSA, the church has announced an end to all ties between the organizations. From the outside, it looked inevitable. And a program that won’t be vulnerable to regular attacks from the American left. They should have been prepared. Trail Life USA CEO Mark Hancock spoke out after reports of how the Boy Scouts of America (BSA) has welcomed hundreds of girls to local groups since doing away with its boys-only policy last fall. Hancock said the way the BSA move is playing out has confirmed fears that boys would be further marginalized. He referenced how in one media report, a BSA den leader said that the new girls had been calmer and easier to manage, while the boys were more easily distracted. Hancock said this latest development is another move negatively impacting boys who, according to government statistics, are: 1. three times more likely to be enrolled in special education 2. four times more likely to be diagnosed ADHD 3. outnumbered two to one in top-10 senior rankings. “Confined to classroom settings more suited to girls and denied rough-and-tumble experiences that help them learn and grow, it is no wonder boys are struggling,” Hancock said. “They are losing out and not developing as strong, capable men because we are not letting them be fully-boys. Since it was founded in 2014, Trail Life USA has been embraced enthusiastically by families seeking a faith-based, nurture-and-activity program based on traditional values. Today there are almost 30,000 members in over 750 troops across 48 states. 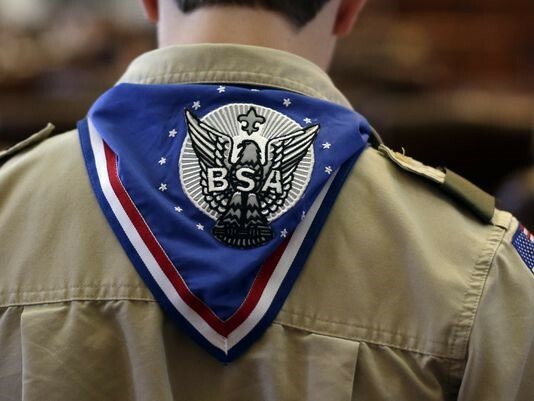 The organization has seen significant growth since the BSA’s decision to welcome girls. Typically chartered by local churches, Trail Life USA troops offer a K-12 program centered on outdoor experiences that build young men’s skills and help them grow on a personal level and as role models and leaders for their peers. Trail Life USA was described as “the now preferred organization for Christians” by Walker Wildmon, assistant to AFA president Tim Wildmon, in the organization’s recent “Reason & Company” video update. The report also recommended Trail Life USA’s sister organization, American Heritage Girls (www.americanheritagegirls.org), for parents of girls. With more than 43,000 members in 50 states, the movement offers a similar gender-appropriate, values-based environment for growth. Trail Life USA (www.traillifeusa.com) is a Christian outdoor adventure, character and leadership program for boys and young men, K-12. Chartered through churches in 48 states, the program centers on outdoor experiences and biblical values that build a young man’s skills and allow him to grow on a personal level and as a role model and leader for his peers.